Since 1949, Electro Chemical has been at the vanguard of the war on industrial corrosion. 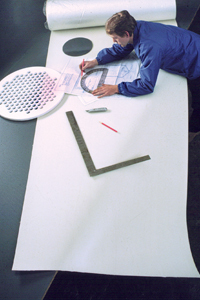 In the early 1980’s, we pioneered the first commercial fluoropolymer linings and coatings for corrosion protection systems, and we maintain our industry leadership position today. Internationally known for the reliability and durability of our systems, our commitment to continuous innovation in the use of leading technologies provides us the edge in solving our customers’ most demanding corrosion protection problems. Today, we offer a complete line of fluoropolymer lining and coating systems for pressure vessels, tanks, distribution equipment and internal components where the corrosive environment is extremely harsh or the purity requirement is extremely high. Our engineers are always available to answer technical questions, to aid in materials selection, and to assist in selecting the most cost-effective system. 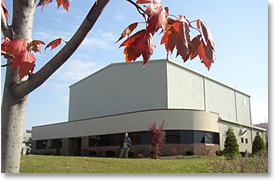 Our experienced field teams can provide turnkey custom coating solutions at your site when the project is too large or time is too short to complete at one of our production facilities. Selecting the right materials for a corrosion protection system is often a daunting task. Value in use operating cost factors can be several times the initial capital cost if compatible materials are not initially selected. Factors impacting these costs include: Replacement frequency, Downtime, Product loss, Suitability-varied uses, Reliability-process upsets, Cleaning, and Maintenance. Under severe conditions especially when acids, alkalis, oxiderizers, or solvents are present, fluoropolymer coating and lining systems provide the lowest value in use cost. They provide much higher durability and strength than thermosets, rubber, elastomers, fiberglass (FRP), or thermoplastic lined systems, and have a much lower capital cost then glass lined or high nickel alloy vessels. Please contact us for any of your corrosion protection, ultra high purity and materials testing and tank inspection needs.